What is “FRP LOCK” and Why it’s appearing on my Phone’s Screen? 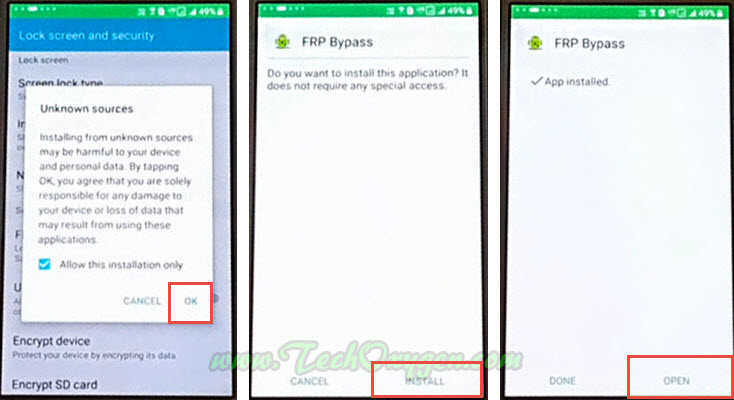 FRP Bypass stands for “Factory Reset Protection” that means when a user Factory Reset his/her Phone, like “Hard Factory Reset”. 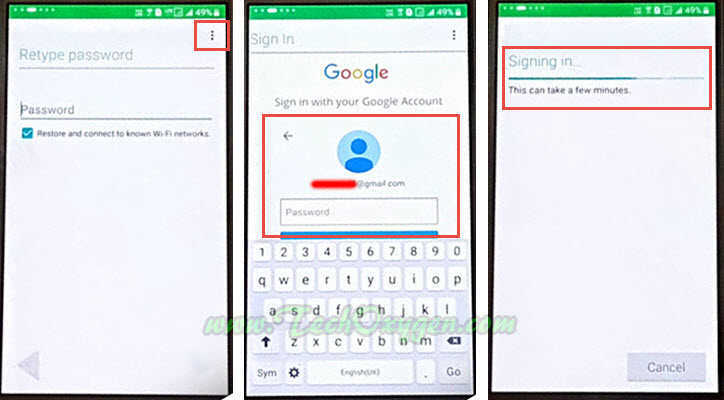 If there is a Google Account on that Phone after Hard Reset, User needs to Enter the Gmail ID and Password for the “Google Account” which was previously submitted in to the Phone. If a user forgets his Password or he doesn’t remember the Email of his Google Account, the only way to get rid of this problem is to “Remove the FRP (Factory Reset Protection)” from his Phone. Whatever the case even if you do know your Email Address and you forgot the Password and you wanted to change your Password. In this case it’s gonna take 72 HOURS to complete your request for changing the Password, You have to wait 72 Hours “Three DAYS” to Log-back into your Phone so you can use it again. 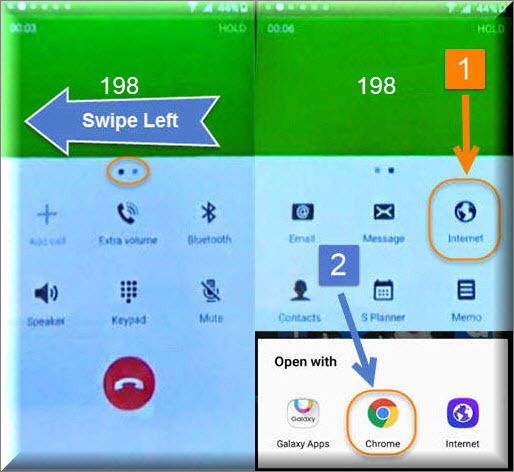 I don’t think anybody wants to be “3 Three days” without their Phone, So today in this guide we are going to talk about the Quick and Easy Method to “Bypass Google Account and Deactivate FRP Lock” from your Samsung Galaxy Phones like A9 PRO, A8, A7 G600FY and so on. 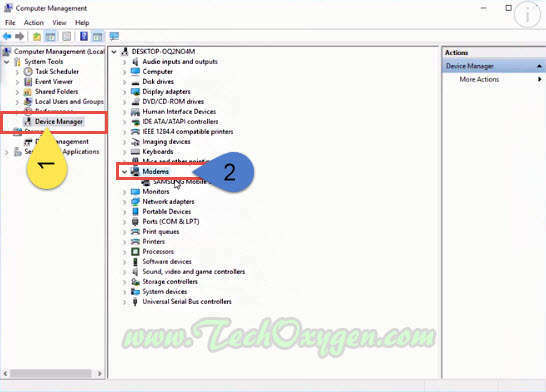 1 Step: Turn on the PC and Install Samsung USB Drivers and RealTerm Software. Restart mobile, Select Language > Connect to the WiFi-Connection > Agree with Terms and Conditions and at the Google Account Verification Screen. 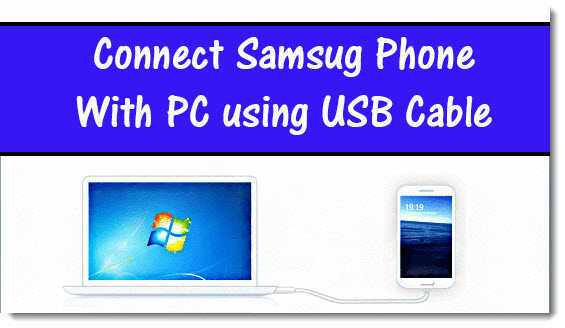 Connect your phone to the PC or Computer by using the USB Data Cable. 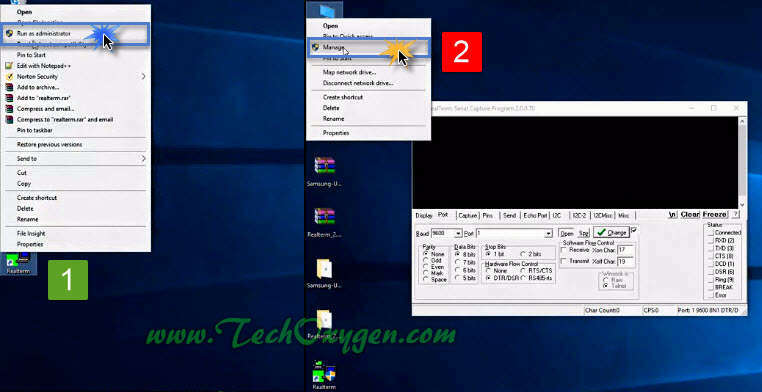 Right click on “RealTerm shortcut” from your Computer’s desktop and click on “Run as Administration”. 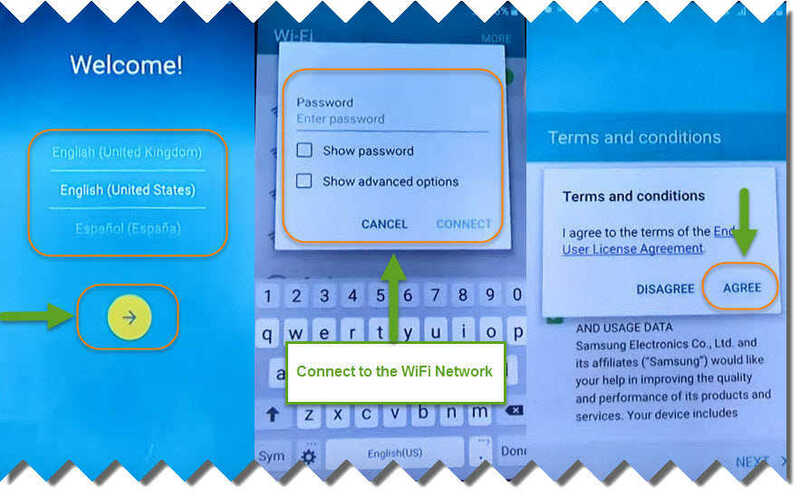 Time to know about what Port is for your Samsung Galaxy device, for that Right click on “My Computer” from the Desktop and click “Manage”. 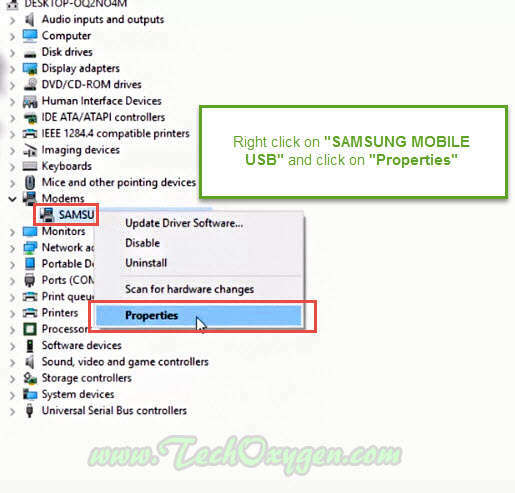 Click Device Manager > “Modems” (Inside the device manager) > right click on “SAMSUNG Mobile USB Modems” and select “Properties”. 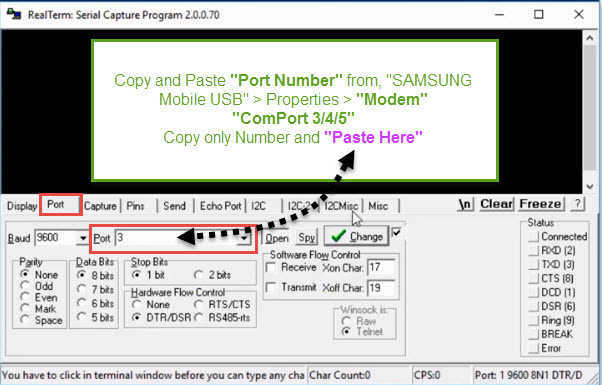 2 Step: In Properties click on “Modem” and check what Com Port is for your Samsung Device. It should appear like, “Port : COM 3/4/5” copy that and paste it into the RealTerm Port Seciton, Paste only the Number. 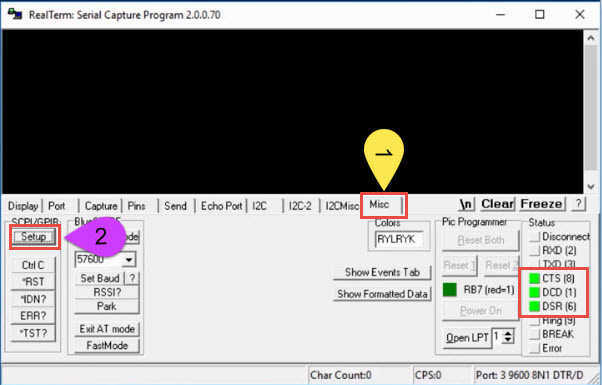 After that click on “Misc” and click “Setup”, Make sure “3 Green Lights” appear in RealTerm. 3 Step: Now go to the “Send Tab” in RealTerm and Paste these 2 Commands there 1 by 1. 1: at+creg?\r\n Paste this command and click on “Send ASCII” button. 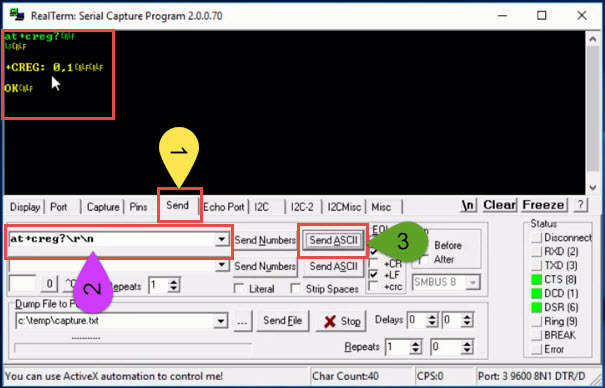 2: atd198;\r\n Paste this 2nd Command and again click on “Send ASCII” button. (Remember in place of “198” You can use your own Second Number as “198” is a Customer Care No. It is better to use an active number while doing this). Just after Pressing “SEND ASCII Button” Your device will make a call on that number, After your “Call PICKED UP” (Remember your call should be answered from that number.) “Slide Screen Left” and click on “Internet” then “Chrome Browser”. 1st. 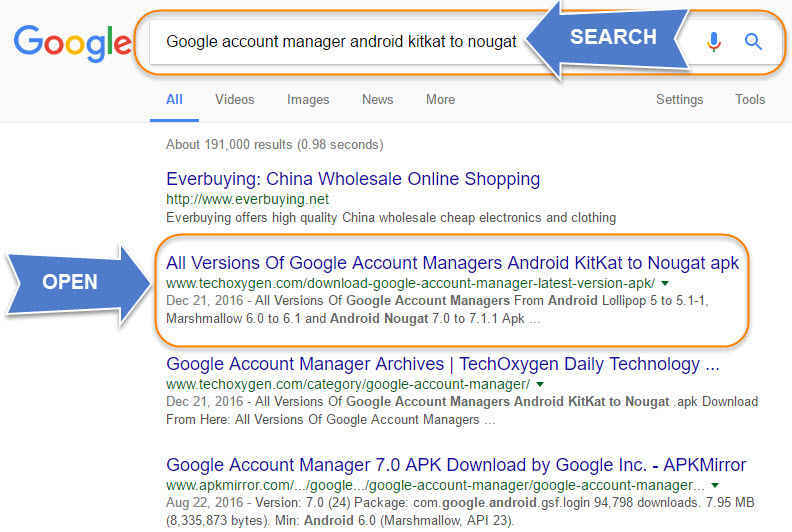 We don’t need USB Data Cable anymore so disconnect it and tap on Search Bar and type: “Google Account Manager kitkat to nougat” and open result with TechOxygen. 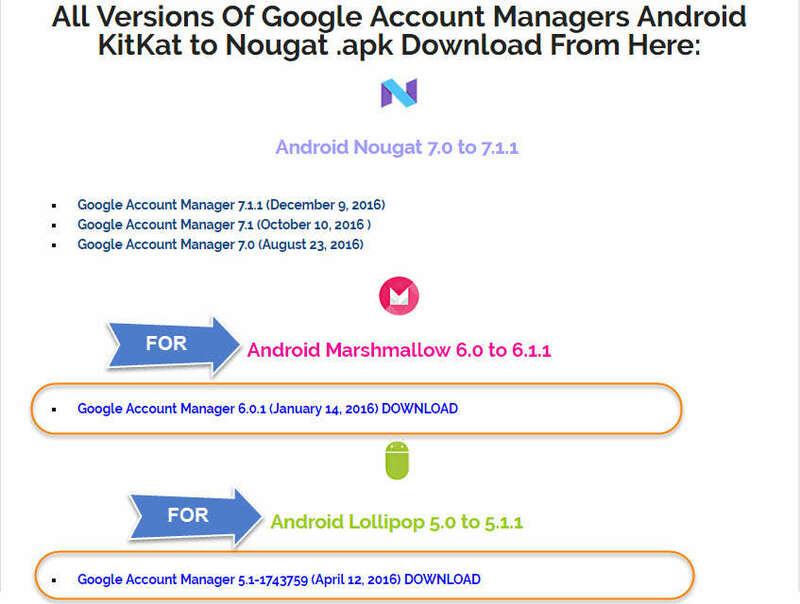 “Google Account Manager 5.1 FOR Lollipop or 6.1 FOR Marshmallow” (depends on the Android Version of your Samsung Device). And also Download “Bypass Google Account.APK” from the bottom of that page. 2nd. Once the “Bypass Google Account.APK” downloaded click on “Open” and then you’ll see the both files which you have downloaded. Tap on “Android file” and then Tap on Settings > Enable Unknown Sources > OK > Install > and Done>. 3rd. After that now install “Account_Login.apk” tap on Settings > Enable Unknown Sources > OK > Install and OPEN >. At this Screen you can now enter your Own Google Account, Gmail ID and Password. So, Enter your Google Account details and Sign-in. 4th. 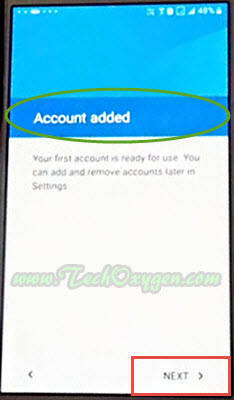 Once you Signed-in “Google Account” has been added in your Samsung Device. Just Go back and Restart your Phone it takes several minutes to restart completely. 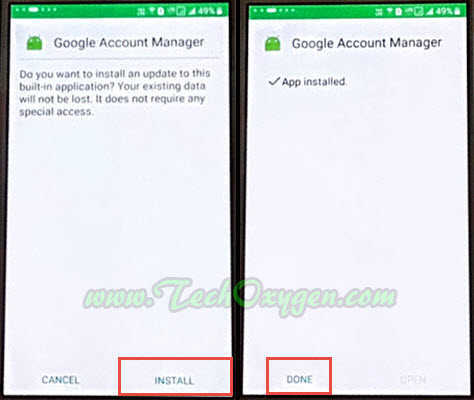 Do not disconnect WiFi-Connection once your device restarted complete the initial settings, and you won’t see any Google Account Locked Screen anymore and we have successfully bypass FRP. So guys, I hope this guide works for you. 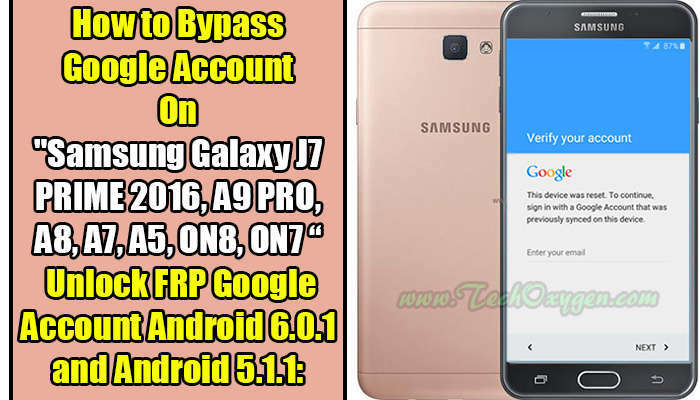 Would like to mention that this “Google Account Bypass Method” works for Samsung Galaxy J7 PRIME 2016, A9 Pro Duos (2016), A8, A7, A5, Samsung ON8, Galaxy ON7 PRO and also for Samsung On Nxt. If you still need any help regarding this issue feel free to ask me in the comment below.